Servatec range meets the requirements of the breeders in terms of performance. It ensures them the best nutrition in order to prepare successfully their future young ruminants. 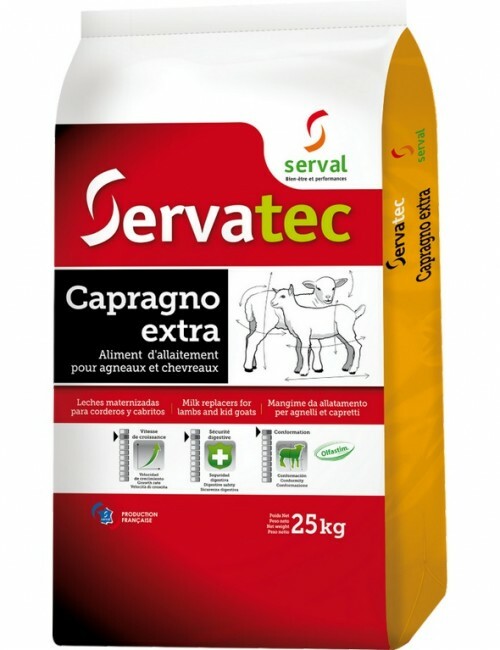 Servatec Capragno Extra is a high nutritional value feed. It provides the best growth performance (speed and conformation) and perfectly homogenous batches in the best conditions of digestibility for the animal. A low temperature pasteurised milk powder (low heat) to ensure the integrity of the proteins and consequently ensure an optimal coagulation. Olfastim® : An original combination of plant extracts improving the palatability of our feed. It allows an optimization of intake and sucking. Pre biotics : They allow a better regulation of the intestinal flora. 100 % low melting point vegetable oil. Servatec range meets the requirements of the breeders in terms of performance. 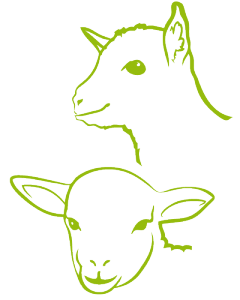 It ensures them the best nutrition in order to prepare successfully their future young ruminants. 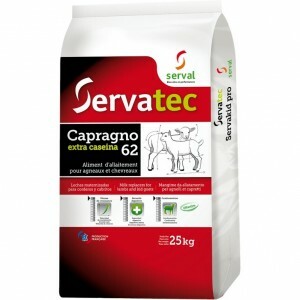 Servatec Capragno 62 is a high nutritional value feed. It provides the best growth performance (speed and conformation) and perfectly homogenous batches in the best conditions of digestibility for the animal. A low temperature pasteurised milk powder (low heat) to ensure the integrity of the proteins and consequently ensure an optimal coagulation. Servalor range meets the needs of livestock farms primarily seeking carefree weaning, in a range of growth and conformation adapted to their investment. 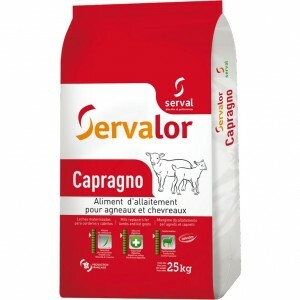 Servalor Capragno is a milk replacer with a high nutritional value that allows a regular and harmonious growth of the animal, particularly concerning its bone and muscle mass. 100 % low melting point vegetable oil.Olfastim® : An original combination of plant extracts improving the palatability of our feed. It allows an optimization of intake and sucking.